(SCOTTSDALE, Ariz.) — Ever wonder what it might be like to play polo with Prince Charles, Prince William and Prince Harry? Well, there’s one way you can find out and that’s by talking to some who have done so: the Clogau Wales Polo Team, who will play the U.S. Military Team in the Third Annual Scottsdale Ferrari-Maserati Polo Championships: Horses+Horsepower on November 2.
nce Charles, Prince William and Prince Harry. The team’s chairman, Capt Harry Legge-Bourke, a personal friend of Prince Charles and the princes, will accompany the team to Scottsdale. Capt. Harry Russell Legge-Bourke was an officer in the Welsh Guards, former Aide-de-Camp to The Lord Guthrie of Craigiebank and Page of Honor to HM The Queen to HM between 1985 and 1987. Legge-Bourke’s sister, Tiggy was William and Harry’s nanny and his mother, The Honorable Mrs. Sian Legge-Bourke was appointed a lady-in-waiting to HRH The Princess Royal in 1987, was High Sheriff of Powys in 1991, and is now Lord Lieutenant of Powys. 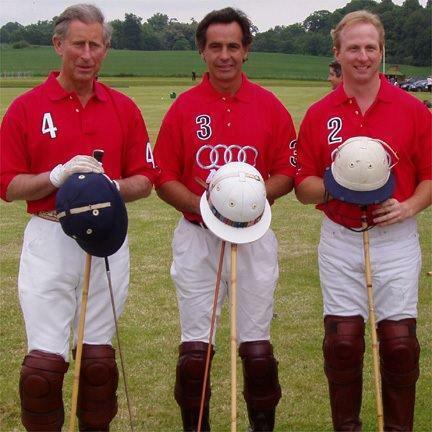 During their polo careers every member of the team has played alongside the princes. In particular, Roddy Matthews played in the same team as Prince Charles for a season and was on hand to train the young Princes at the beginning of their careers. Pete Webb, a regular at the world famous Guards Polo Club has played alongside the Princes and Ricky Cooper, the team captain, played against William during his time at Sandhurst. The Princes are also invited to play as part of the Clogau Wales Polo Team in the 2014 season. The team is a member of the Hurlingham Polo Association, the prestigious governing body for polo in the U.K. and other European countries. The only other International team registered to the HPA is England. They also have a multi-year sponsorship deal with Welsh Gold makers Clogau, who have strong links to the royal family. Welsh gold has been used by Royalty since 1911. For more information, see The Gold of Royalty. The Wales team is part of a new and exciting lineup for the Third Annual Scottsdale Ferrari-Maserati Polo Championships: Horses+Horsepower on Nov. 2. At 3 p.m. that day, the Wales team will square off against the U.S. Military Polo Team. Jeff Hall, one of the best polo players in the world, and one of just a few top-rated Americans, will be captaining the U.S. Military team. Hall has played every major tournament in the U.S. and Argentina and is a six-time winner of the USPA Silver Cup (2005, 2004, 2003, 2000, 1999, 1997) and a 2003 winner of the U.S. Open. The Wales Polo Team, sponsored by Scottsdale Ferrari, is captained by Ricky Cooper, who has been team’s captain since inception. The Wales team won this seasons Clogau Arena Polo International finished runner up in the 2012 and 2013 British Beach Polo Championships and boasts an overall record of 17 wins against 5 losses and 2 draws. Last October the Scottsdale Polo Championships drew the biggest crowd in the country for a one-day polo event with approximately 9,180 fans enjoying the three-match showdown at the annual Polo Party. This year, with an expanded event schedule and an amped-up polo lineup including the sport’s top players and more vendors, more sponsors, the 2013 Arizona Porsche Concours d’Elegance car show, the Polo Party is expected to draw up to 15,000 polo fans and revelers to WestWorld of Scottsdale. 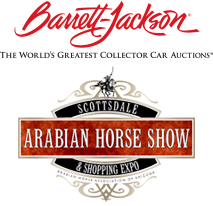 Attendees at the polo event will also enjoy a sneak preview of the 2014 Scottsdale Arabian Horse Show and see some serious horsepower with a preview of the world-famous Barrett-Jackson 2014 Collector Car Auction along with local car clubs lining the field. This year will also feature the 2013 Arizona Porsche Concours d’Elegance car show. Sponsored by the City of Scottsdale, Barrett-Jackson Collector Car Auction, Scottsdale Arabian Horse Show, Scottsdale Ferrari and Maserati, Penfolds Wine, Molina Fine Jewelers and many others, the Scottsdale Polo Championships: Horses + Horsepower debuted in November of 2011 with approximately 2,300 people in attendance. Scottsdale is the most attended step on the Professional Golf Association Tour every year and in October of 2012, after receiving national and international exposure, the 2nd Annual Scottsdale Polo Championships was the most attended one-day polo event in the United States and included a three-match showdown featuring some of the biggest names in American polo such as Nic Roldan, Tommy Biddle Jr., and Work to Ride, out of Philadelphia. Tickets are now on sale for the 2013 event. Go to www.thepoloparty.com to purchase tickets or for more information.